Many people incorporate valuable stones and jewelleries in their daily lives. Pearls are among things that we often have in our fashion composition and people who want to sustain their lifestyles may consider choosing high quality pearls. When purchasing pearls from trusted and reputable jeweller stores, we should get written certificate and description about pearls that we buy. High quality pearls don’t have to be expensive and we could obtain them at bargain process. This is something that can help to make huge purchases that can last for the whole lifetime. There are different natural characteristics that define the quality of pearls, so it makes a good sense to make sure that we get good value for our money. For average consumers, pearls often look identical despite their quality grades. Because pearls are built inside living organisms through natural processes, we could expect to find more than a few imperfections. In regular markets, the price of high quality pearls can be incredibly high and with the small scale supply of these impeccable pearls contribute to the high prices. It takes years to create a single pearl with acceptable sizes and quality and the prices could depend on the weather conditions as well. It means that the prices of pearls can be incredibly dynamic. It is important that you always get better deals and you need to make sure that pearls you get match the internationally agreed standards. In fact, it is quite possible that you can become utterly and completely lost with so many varieties of sizes, shapes and colors, making it so hard to determine whether you really have a good buy. You should make sure that you won’t be disappointed with what you have. When purchasing a pearl, you should make sure that you have defined the proper price ceiling, so you won’t purchase the one that’s too expensive. By setting your price ceiling, you won’t go overboard and get carried away. In some stores, the price can be inflated several times, because they are selling brand and lifestyle, instead of the pearl itself. In Asia and other regions, it is acceptable to bargain and it’s not considered rude at all. So, it is a good idea to purchase pearls near the production sites, because not only you can haggle, but you may get much lower starting price to bargain with. Unfortunately, buying pearls also represent risks, especially if you are not knowledgeable. You need to be able to distinguish real, high quality pearls with cultured and fake ones. 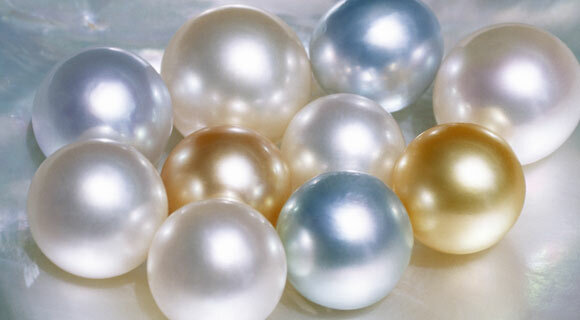 Real pearls actually feel gritty and rough, while fake pearls feel featureless and smooth. You may bring fake pearls with you to stores or markets, so it’s possible for you to make direct comparisons. You should be able to sense if a seller tries to deceive you and you need to keep your cool. If this happens, it is a good idea to walk away and go to the next one. You may go to stalls that handle a lot of seemingly satisfied customers.